Connecticut has 72 designated opportunity zones, including 71 low-income communities, plus 1 non-low-income contiguous tract. 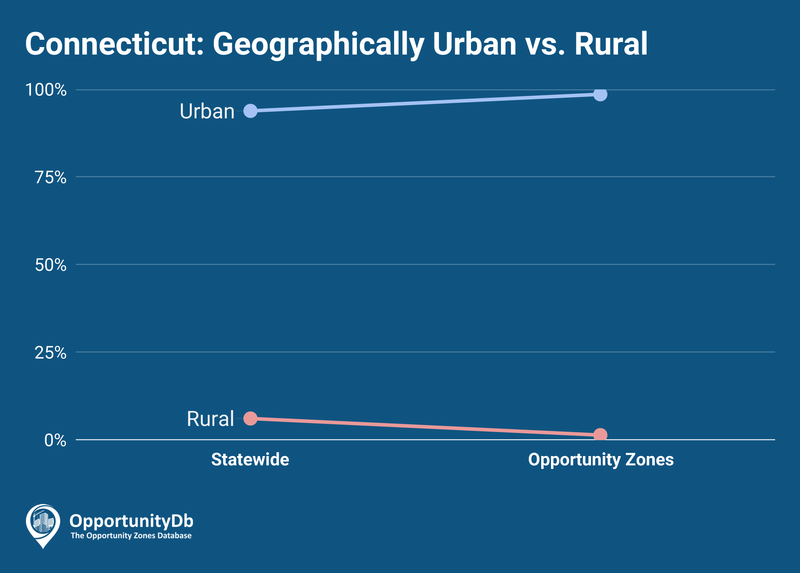 Connecticut is one of the few states in the country whose opportunity zones urban-to-rural ratio is higher than the statewide ratio. Statewide, 95 percent of Connecticut’s census tracts are urban. And an even higher percentage (99%) of its opportunity zones are located in urban areas.